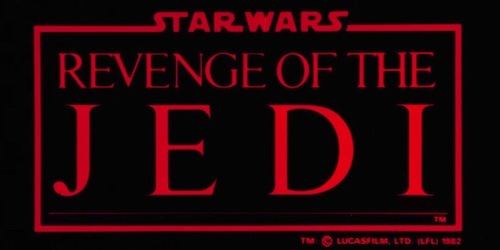 The majority of Star Wars fans know there was a time when Revenge of the Jedi was a thing, before creator George Lucas decided it wasn't, months prior to the movie's release in the US, and changed it back to Return of the Jedi. By that time merchandise had already started shipping and now commands a premium in the collector's market. The Academy has released this rarely seen gem. In the spring of 1982 UK cinema audiences were given a brief glimpse of the final chapter, until The Force Awakens over thirty years later, in the Star Wars saga. 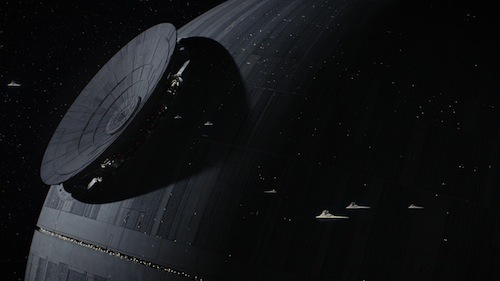 The teaser trailer, which spoils Han Solo's rescue from Jabba the Hutt, played with a double bill of Star Wars and The Empire Strikes Back from 30th May. It's very likely I saw this with my parents and pestered them about the seemingly interminable wait. It's interesting to note the movie was originally scheduled for Christmas 1983, but ultimately moved forward to May of that year. 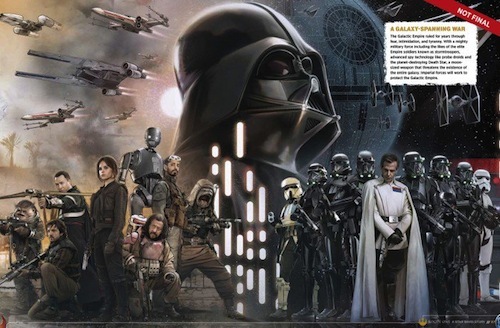 Somewhat prescient given Disney's scheduling of its Star Wars movies since buying Lucasfilm in 2012. 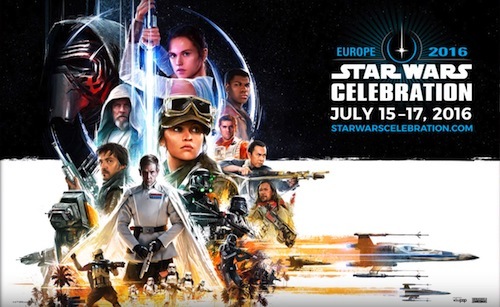 Star Wars Celebration Europe is less than two months away and official key art, featuring heroes and villains from The Force Awakens and Rogue One, was unveiled during this week's edition of The Star Wars Show. The captivating art has me even more stoked for the event in London this July. 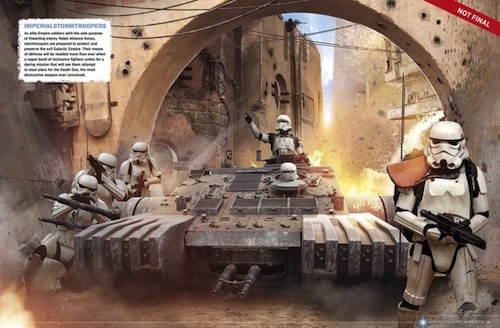 Rogue One has All Terrain Armored Cargo Transports (AT-ACT) as opposed to AT-ATs from the original trilogy. No doubt merchandise based on the new vehicle will be popular this holiday season. Mark Hamill, Carrie Fisher, Gareth Edwards, Kathleen Kennedy and Dave Filoni are confirmed guests. 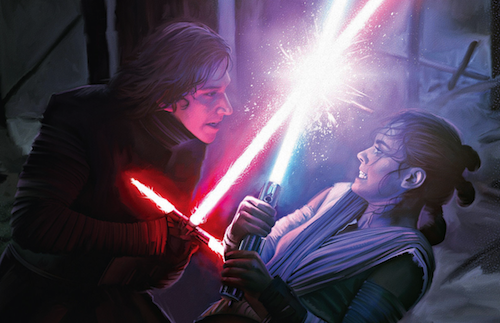 This year's event promises to be the best yet in the wake of The Force Awakens and expectations surrounding Rogue One and Episode VIII. Stay tuned for further coverage of Star Wars Celebration. This June director Michael Bay begins filming the next instalment in the Transformers cinematic franchise, with Mark Wahlberg reprising his role as Cade Yeager from Age of Extinction, due for release summer 2017. Fans need not fear this is the final movie in the $3.7 billion dollar grossing series. 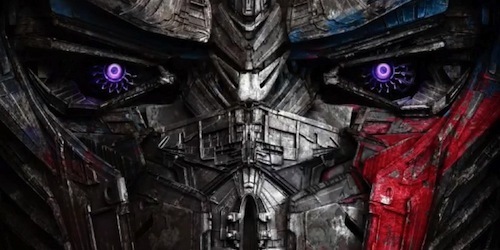 A Bumblebee spin-off is set to follow in 2018 with a sixth Transformers film to arrive in multiplexes everywhere in 2019. Hollywood can't get enough of these transforming toys to the detriment of new IPs. So, who's the Last Knight? Rumours suggest none other than ROM: Spaceknight. A toy released by Parker Bros., which had a Marvel comic tie-in, and now belongs to Hasbro. Franchise stalwart Josh Duhamel is returning to the fray after he went missing in action in Age of Extinction. However, Megan Fox was last seen in Transformers: Revenge of the Fallen and can be seen next in Teenage Mutant Ninja Turtles: Out of the Shadows. Are you looking forward to more Autobot vs Decepticon battles? Let me know in the comments below. 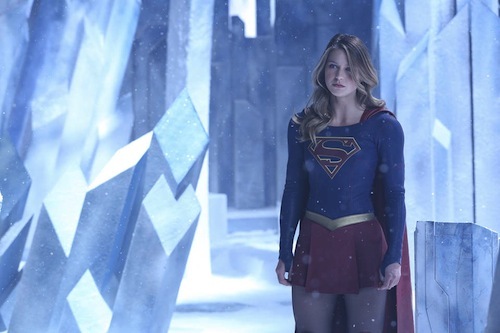 Supergirl's got a new home and it's with The CW in Canada. The DC Comics live-action television series will join stablemates Arrow, The Flash and DC's Legends of Tomorrow from next season. More crossovers are bound to follow under the auspices of prolific producer Greg Berlanti. This is quite the mission statement from The CW, co-owned by CBS and Warners Bros., and bolsters the network's superhero portfolio as Netflix continues to capitalise on the success of Marvel's Daredevil and Jessica Jones. Alas, ABC's Marvel's Agent Carter didn't fare so well after relocating from New York to Los Angeles and won't be renewed. Crisis on Infinite Earths, anyone? Melissa Benoist, like fellow Glee alum Grant Gustin, is a charismatic lead and it'll be interesting to see her character further involved with alternate realities and timelines, which is something The Flash has become most adept at. The latter's second season has been a barnstormer and, whilst I won't post any spoilers, the Zoom/Earth-2 storyline has cemented the series' status as my favourite genre show on television. Sky 1's scheduling of DC Comics' small screen adventures every weekday evening, from Tuesday to Friday, has been a masterstroke in the UK. Are you glad Supergirl's saved to fly another day? Let me know in the comments below. 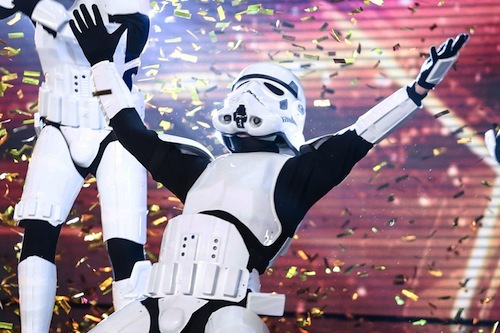 Simon Cowell's dream comes true as dancing Stormtroopers invade Britain's Got Talent. Cowell said: "I don't know who you are, but I literally said 'If we could find Stormtroopers who could dance' - seriously, I said that - 'this show is going to go into a different league'. "My dream has come true. Thank you." The stellar performance earned a standing ovation from the entire audience, and Cowell’s golden buzzer push sent Boogie Storm through to the next round. Star Wars actor John Boyega gave his seal of approval too. 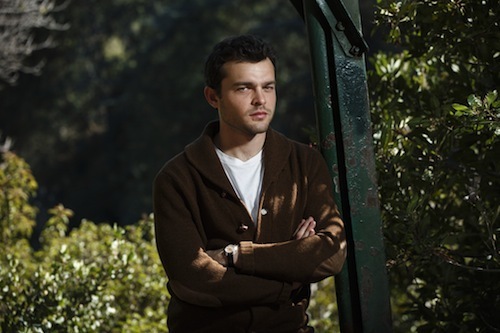 According to The Hollywood Reporter, actor Alden Ehrenreich is about to ink a deal to play a young Han Solo in Disney's re-energised Star Wars franchise and may first appear in Gareth Edwards' Rogue One: A Star Wars Story this December. Phil Lord and Chris Miller (The LEGO Movie) are directing the upcoming Star Wars standalone movie, which is scheduled for release in 2018 to bridge the gap whilst fans wait for the final chapter in the sequel trilogy that began with JJ Abrams' The Force Awakens and continues with Rian Johnson's Episode VIII in 2017. What do you think of this casting choice? Let me know in the comments below.